While everyone was yelling at Apple about their wireless headphones, hackers were busy figuring out how to hack the ones in your ears. Wired magazine is reporting about a group of researchers at Israel’s Ben Gurion University who were able to turn a pair of earbuds into a couple of microphones that could be used to spy on you. They are calling the project “Speake(a)r.” Now that’s some clever marketing. While it’s long been known that you can turn a pair of headphones into a mic, the researches were able to display a real vulnerability. This piece of malware can record audio even when the headphones remain connected into an input-only jack and don’t even have a microphone channel on their plug.” What’s more, it works on Windows, MacOS, and most laptops. So if this piece of malware ends up on your computer, consider your line bugged. Cool. I guess that that piece of tape over your laptop camera isn’t enough. Time to snip those earbuds as well. If anyone needs me, I’ll be in a secret underground bunker surrounded by cans of Heinz baked beans and three feet of concrete. Anonymous is back at it again. 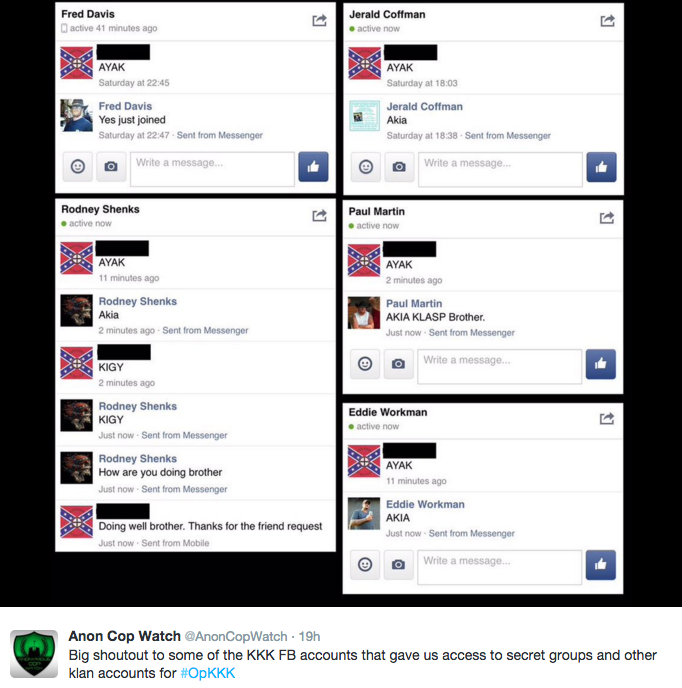 On Guy Fawkes Day, a favorite day for this type of thing, the hacktivist collective Anonymous released the promised full list of alleged Ku Klux Klan members' personal information. The group released a similar, but much smaller list, earlier this week that named prominent members of congress and mayors as KKK members. But those claims have largely been debunked. "We consider this data dump as a form of resistance against the violence and intimidation tactics leveraged against the public by various members of Ku Klux Klan groups throughout history," Anonymous said. 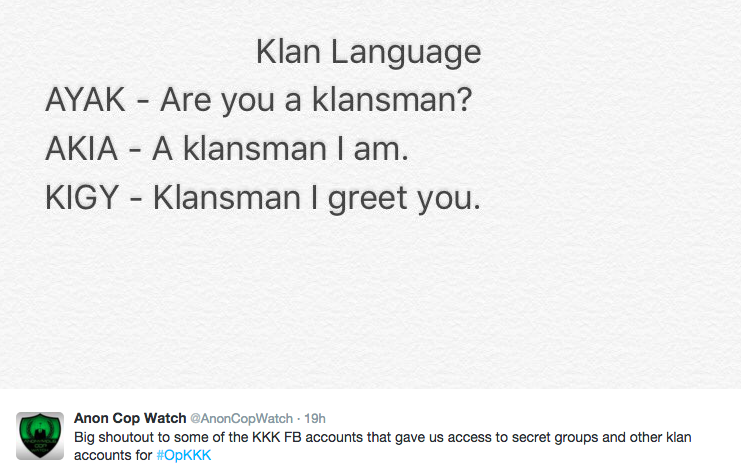 The data dump has also given the public a glimpse at the strange slang KKK members use between each other.